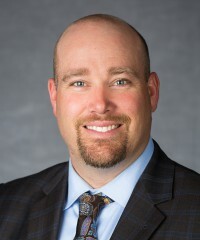 Dr. Braden T. Lusk, professor of mining engineering at the University of Kentucky and a two-time graduate of Missouri University of Science and Technology, has been named chair of the mining and nuclear engineering department at Missouri S&T effective Aug. 15. Lusk earned a Ph.D. in mining engineering with a minor in explosives engineering from Missouri S&T in 2006 and a bachelor of science degree in mining engineering from S&T in 2000. 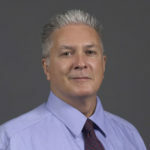 A member of the University of Kentucky mining engineering faculty since 2006, he also serves as director of graduate studies for the department. Lusk succeeds Dr. Ralph E. Flori Jr., associate professor of geological sciences and geological and petroleum engineering, who has served as interim chair of the mining and nuclear engineering department during the past year. “I greatly appreciate Dr. Flori’s service as interim during a time of transition for the department,” Marley says. During his 10 years at the University of Kentucky, Lusk brought more than $5 million in sponsored research to the university as the principal investigator on projects and was a collaborator on more than $10 million worth of other research projects. He also received the UK College of Engineering’s Dean’s Award for Excellence in Research in 2014 and received the Tau Beta Pi Outstanding Teacher in Mining Engineering Award seven times. Active in the International Society of Explosives Engineers (ISEE), Lusk has served on the ISEE board of directors since 2013 and currently serves as secretary. He received the ISEE President’s Award in 2012. Also in 2012, he received the Society of Mining, Metallurgy and Exploration (SME) Coal and Energy Division J.W. Woomer Award. In 2009, Lusk joined Dr. Paul Worsey, professor of mining engineering at Missouri S&T, to co-host “The Detonators,” a 12-episode documentary on the Discovery Channel. In “The Detonators,” Lusk and Worsey gave viewers a behind-the-scenes look at the science and engineering of demolishing large structures without damaging the surrounding buildings and landscapes. This is absolutely fantastic news Braden. My heart felt congratulations! Well Deserved. This is fantastic news for the Missouri S&T Mining and Nuclear Engineering Department! Many congratulations to Dr. Lusk. I am excited to meet Dr. Lusk and learn from both him and Dr. Paul Worsey. They make an exceptional team. We are lucky to have such great, knowledgeable professors in our department. Congratulations to Dr. Lusk and Missouri S&T for making the correct decision. Dr. Braden Lusk is most qualified to take on the mammoth task of rebuilding the once premier Department. I know I speak for many of the Alumni that we wish him the very best and there are an extremely large number that he can depend upon for assistance in the great task ahead. Great news! Congratulations to Dr. Lusk and MST.